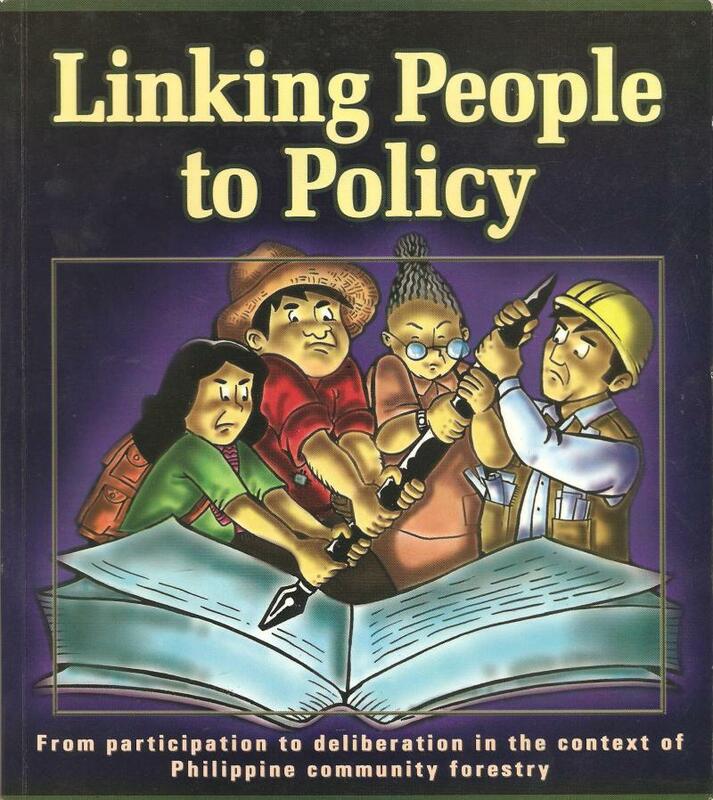 Participatory Approaches to Natural Resource Management, Policy Development Processes, Professional Facilitator and Participatory - Action Research Oriented Training Specialist. Scroll down to see what Peter is working on recently and to see feedback from clients. Peter has 19 years post graduate experience working in various roles related to participatory approaches to natural resource management. These include roles related to project/programme design, planning, management, implementation, monitoring and evaluation as well as extensive experience in policy development support, capacity building on a variety of topics, workshop facilitation and organisational learning and strategizing support. Key clients have included the EC, FAO, IDRC, UNDP, DFID, The World Bank and IIED. He also acts as the focal person for PNRM consultants. Participatory Forest Management advisory services related to programme/approach design, implementation, monitoring and evaluation. Trainings and capacity building related to various topics, Effective Policy making, Participatory Forest Management and Community Forestry, Participatory Approaches, Facilitation Skills, Conflict Management, Multi-stakeholder processes and Participatory Action Research. Participatory workshop design and facilitation. Facilitating project/programme planning and strategic review and learning processes. Genuinely participatory and experienced based REDD+ development. What have clients said about Peter O'Hara? ''IIED is lucky to have benefitted from Peter's workshop design and facilitation services. He's a great innovator and colleagues from all over the world have been impressed and excited by his ideas and methods. His wide experience in fields of natural resource management is a huge asset. Peter is a great pleasure to work with, and he gets things done'' James Mayers, Head of Natural Resources Group, International Institute for Environment and Development. ''Highly professional and incisive advice, sensitive to local conditions and realities''. Professor Adrian Wood, Project Manager NTFP-PFM and Coffee Forest PFM projects, regarding Peter's services as a Participatory Forest Management advisor to these two EU supported projects in Ethiopia. ''Peter enabled participants to develop the REDD Preparedness proposal step by step through bringing their own experience and thoughts into the process and thus creating ownership ''. Ecofys Germany GmbH, providing feedback on Peter's role, when they hired him to facilitate a World Bank supported process for the development of a national Reduced Emissions from Deforestation and Degradation(REDD) Readiness Preparedness Proposal. ''This is the best treatment of the Strategic Social and Environmental Impact Framework that a number of TAP members have ever seen'’ – Feedback from the World Bank hired Technical Advisory Panel (TAP) on the Social and Environmental Strategy Framework that Peter was involved in developing for Ethiopia's REDD Preparedness Proposal. ''Peter's versatility, innovation and investment in understanding the contexts of countries before undertaking any capacity building intervention are reasons why a variety of countries treasure his facilitation style and quality of training in general. The work of developing a training manual and corresponding materials on stakeholder participation in national forest programs demanded expertise on the subject, creativity, commitment and thoroughness and FAO happily got all these from him''. Fred Kafeero, Forestry Officer - Participatory Forestry, FAO, Rome. FAO Rome has contracted Peter's services since 2005 to deliver trainings in Asia, Africa and Latin America and to produce Best Practice guidance for FAO on enhancing stakeholder participation in forestry decision making and action. What is Peter working on now/recently? Peter is the lead consultant in the UNECE-FAO project Sustainable forest management for greener economies in the Caucasus and Central Asia project which over the next few years focusses on developing guidelines for the transformation of centrally planned forest sectors to meaningfully participatory programme development that effectively balance social, economic and ecological concerns and delivering associated capacity development to support the change within the target countries. Peter provided inputs with regards to climate change initiatives in 2013. These included working for WWF to share lessons from REDD+ to a new initiative focussed on the Energy sector called Energy+ and providing design and facilitation support to the milti-stakeholder development of a Nationally Appropriate Mitigation Action(NAMA) in Ethiopia. 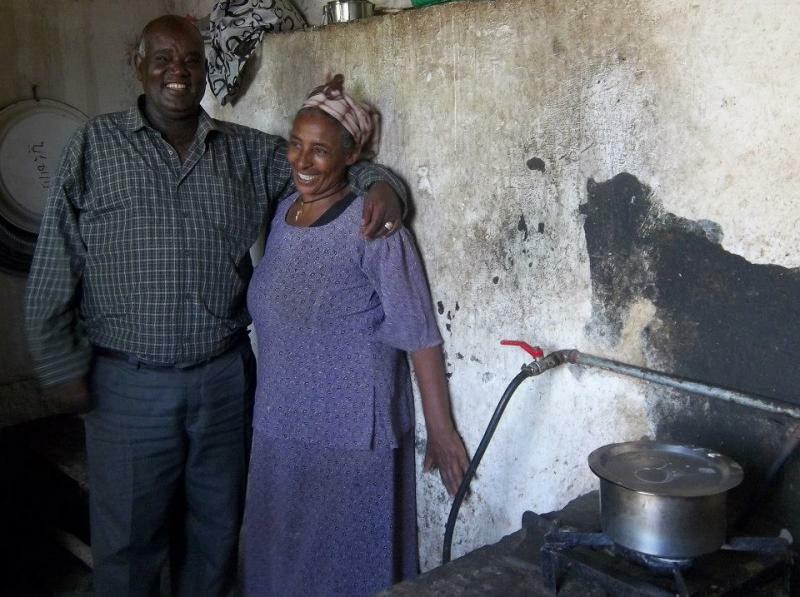 As part of the design and facilitation support for the NAMA in Ethiopia Peter lead the participatory consultation on the viability of biogas in the country. During the later half of 2012 and first half of 2013 Peter O'Hara was hired by the World Bank FCPF to lead the design and facilitation of African and Asian regional capacity development initiatives on social inclusion in REDD+. The training workshop included multi-stakeholder representatives from 7 African and 7 Asian countries. They aimed to help mainstream social inclusion and social justice in REDD+ to especially meet the challenges faced by most forest dependent stakeholders. 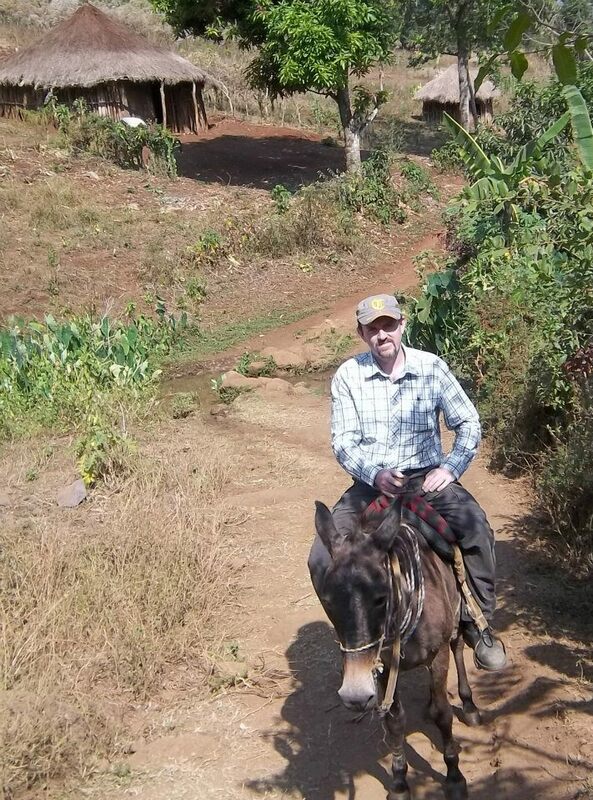 Until 2015, Peter O'Hara is providing Participatory Forestry Management advisory support to two EC and Norwegian government funded projects in SW Ethiopia. This work includes strategizing, technical advice and capacity development associated with the establishment of secure local forest control, user and forest enterprise rights for 30,000 community members over 100,000 ha of valuable montane forest through a streamlined process of handover of rights and responsibilities. Peter also provides process and training support for government to develop a forest policy environment supportive of local forest control and small forest enterprise development. From October 2011 until present is engaged in the development of an Ethiopian Forestry Business Case for the UK's Department for International Development(DFID), to enable informed decision making for future forestry investment by DFID. The work involves in depth analysis of forestry contexts and in identifying and costing opportunities, challenges and risks. Screenplay about African development work. As a small diversion from normal work Peter is engaged in an intensive professional screenwriting course, producing a feature length flim script entitled 'Fixing Africa' , by August 2012. The screenplay takes a satirical view of development work in Africa. In December 2011, Peter delivered a module on Participatory Forestry within the Forestry Masters Programme at Belgrade University Serbia. In October, 2011 in response to a request from the Forestry Commission in Zimbabwe provided a training on the development of effective forest policy. The training was delivered to a team who will be responsible for the development of the first forest policy in Zimbabwe. The training was supported by FAO. In October 2011, provided a training on stakeholder engagement processes for the consultancy firm ECOFYS London, for specific application in the UK wide project - Economic Assessment of Climate adaptation. The project is designed to generate preparatory guidance and build ownership over ideas that will feed into the National Adaptation Plans of the UK and regional governments. From July to September 2011, provided support to the preparatory stages of the DFID Strategic Climate Institutions Programme in Ethiopia. The work included support for potential applicants to the fund with regards to trainings on effective project design as well as the development of a a scoping paper on the forest sector in Ethiopia. 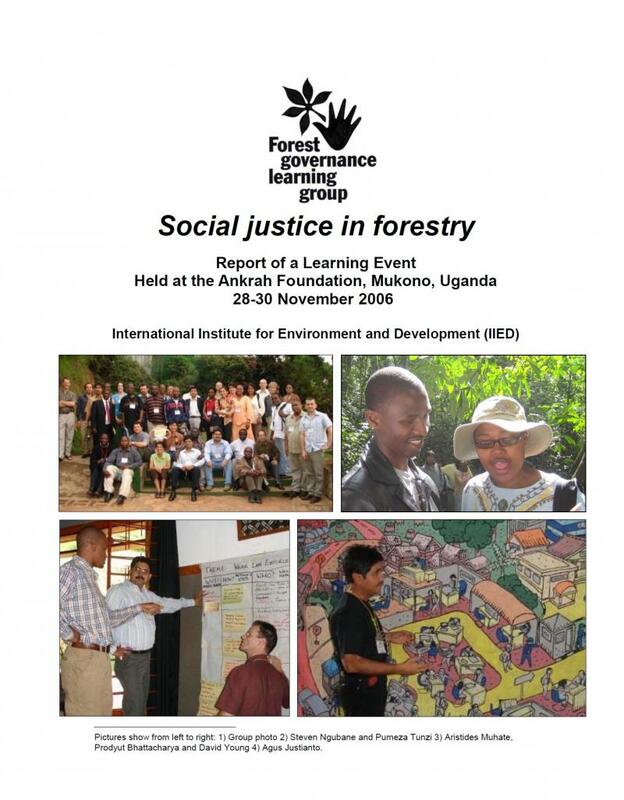 In June 2011 delivered an international training based in Turkey on effective forest policy development. Included participants from 13 former Soviet and Eastern European countries and supported by FAO. Peter was a trainer on 5th executive Forest Policy Short Course, organised by FAO and the State Forest Administration in May 2011 , Beijing. Fee based training for mid to senior decision makers in the Chinese forest sector aimed at enhancing forest policy making effectiveness. From 2008 to 2010 is provided policy development facilitation services for the formulation of Angus Regional Forestry Framework for Angus Council, Scotland. Client is Rural Development Initiatives, UK. Contracted by FAO to develop a training package on 'How to make effective forest policy' from Jan to July 2011. This package is part of FAO's technical support to senior forestry decision makers around the world, providing clear user friendly guidance on processes to develop effective forest policies that find balance between economic, social and environmental considerations.The package was field tested before being finalised. Client: Food and Agricultural Organisation of the United Nations, Rome. 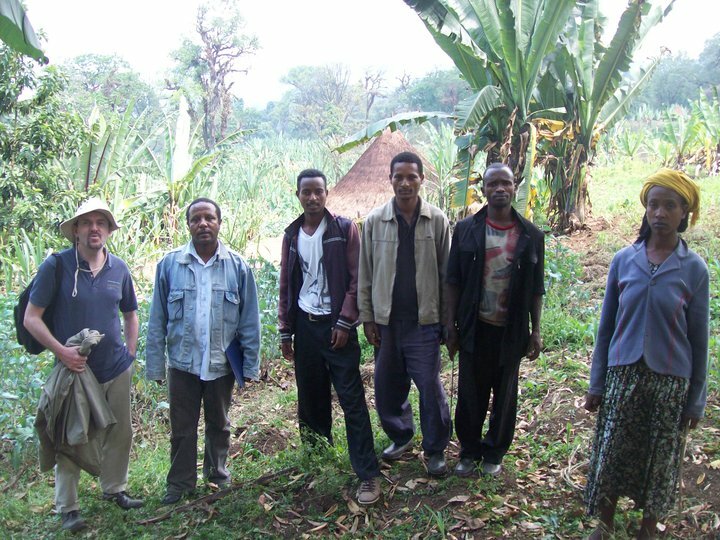 In February/March 2011, conducted a training on conflict management for Participatory Forest Management, Ethiopia. Provided a training which examines the root causes of conflicts in PFM, identifies ways to adapt the PFM approach to reduce conflicts and explores the principles and practice of conflict management through field exercises. Client Coffee Conservation – PFM project/ Sustainable Livelihoods Action/EC. In February 2011, streamlining the Participatory Forest Management process in South West Ethiopia. This included the development of systems for forest resource assessment and management planning that are relevant for communities, acceptable to government and feasible in terms of resources and time required to facilitate them on a large scale and with project phasing out in mind. Client NTFP- PFM project/SLA/EC. From January to March 2011 provided process/methods guidance for the development of a National Appropriate Mitigation Action (NAMA) for Chile. The process funded by the German government aims at developing NAMAs in a logical and participatory way that ensures that the NAMA is technically feasible, cost-effective and socially and economically acceptable to affected stakeholders. Client German Government climate mitigation fund/Ecofys. 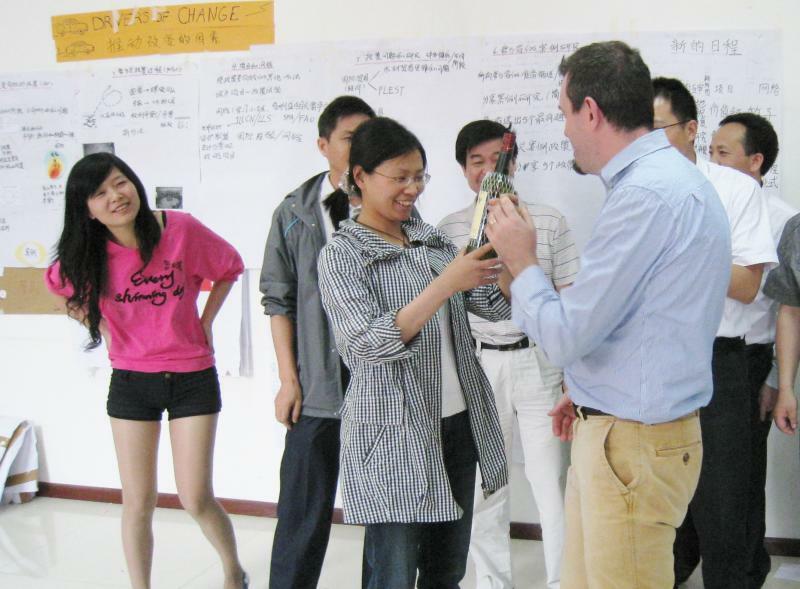 In January 2011 conducted an in-house training for consultants from Ecofys GmBH, Cologne, on application of participatory processes to project design and implementation. This training provided practical guidance on all aspects of participatory processes, facilitation skills and methods and on how to enrich conventional planning systems to ensure projects are more relevant and cost effective. Training was built around an existing project being planned/implemented by Ecofys so that the outcomes of the training would be of immediate use. 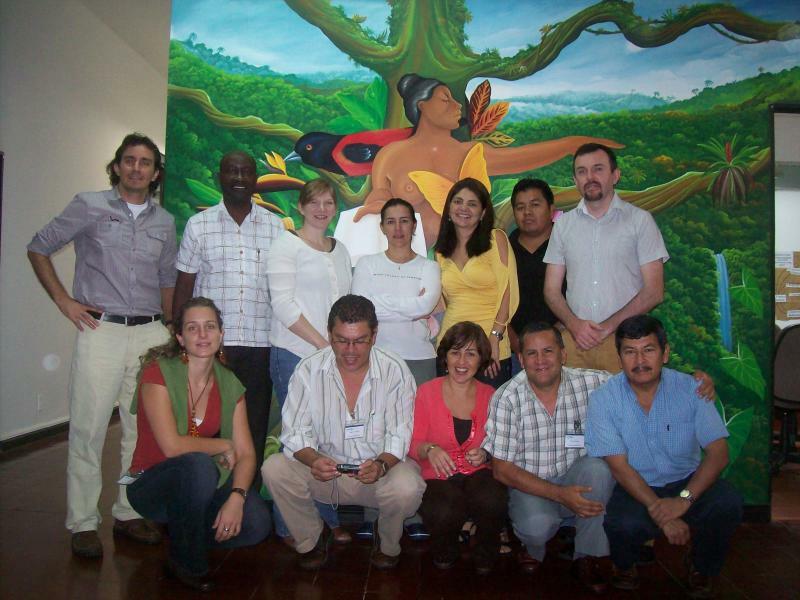 In December 2010, conducted a Training of Trainers on Enhancing Stakeholder Participation in National Forest Programmes in Costa Rica. The training was aimed at training trainers from throughout the region who will then deliver trainings in Latin America aimed at making forest sectors more democratic and accountable. Client: FAO, Rome. From June 2009 to March 2011 was in an international team supporting the government of Ethiopia develop the Reduced Emissions from Deforestation and Degradation (REDD) Readiness Preparedness Proposal for Ethiopia funded by the World Bank's FCPF. Client GOPA consulting, Germany. Exceptional track record in Community Based/Participatory Natural Resource Management advisory and project coordination services in Bhutan, Ethiopia, Gambia, Philippines and Uzbekistan for donors including GTZ, EC, UNDP and IDRC. Exemplary record in delivering trainings of the highest standard in the following topics: Effective Forest Policy Development, Good Project/Programme design, National Forest Programmes, Participatory Forest Management, Community Based Natural Resource Management, Participatory Approaches(PLA, PRA, PAR), Participatory Extension and Facilitation skills. The trainings have been run for more than 500 professionals from more than 50 countries and have been held in 16 different countries in Asia, Europe, Africa and Latin America. Also in-country mentoring and coaching services have been provided. Click on the image below to view the proceedings of a workshop designed and facilitated by Peter for IIED. 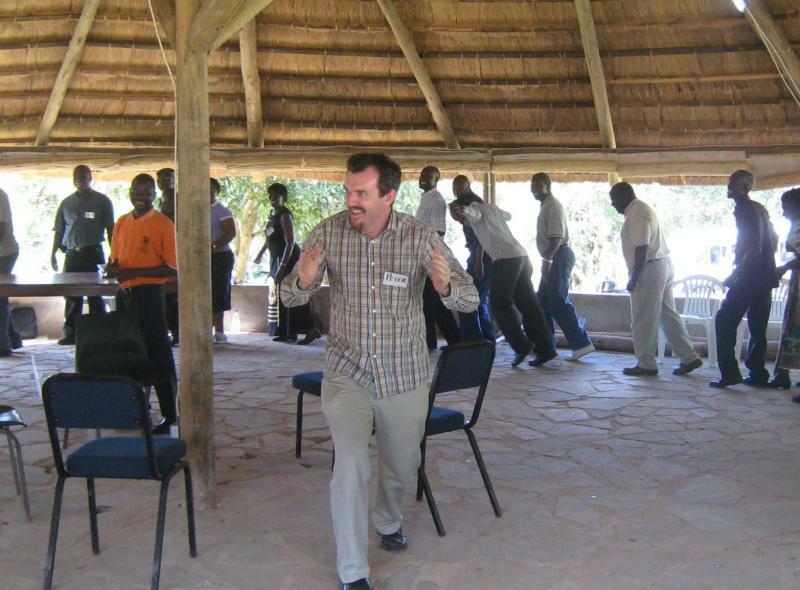 As a professional facilitator Peter has designed and facilitated international lesson learning workshops for the likes of IIED, FAO and the World Bank in countries including China, UK, Uganda, India, Malawi and The Philippines. All workshops delivered their outcomes successfully in participatory and innovative ways. As a leader in his field Peter has been comissioned to develop numerous best practice guidance documents. Manuals have been written on various Participatory NRM related topics including Participatory Forest Management Guidelines( E.g. PFM Guidelines for Ethiopia), Toolboxes of methods for PNRM and Training manuals( E.g. on Enhancing Stakeholder participation in National Forest Programmes) for the likes of FAO and the EC. Programme/Project Planning, Monitoring and Evaluation. Peter also has an strong track record in project and programme planning, monitoring and evaluation - renowned for critical analysis but always delivering a constructive outcome. Evaluation missions have been conducted in India, Thailand, Nepal and the UK for various donors including the the UK's DEFRA. Peter has been successfully engaged in facilitating REDD+ strategy development, including the development of the REDD+ Preparedness Proposal (R-PP) for Ethiopia funded by the FCPF of the World Bank. He specialises in the participation/consultation aspects and social, cultural, economic and environmental impact assessment mechanisms necessary to ensure REDD+ supports social justice.